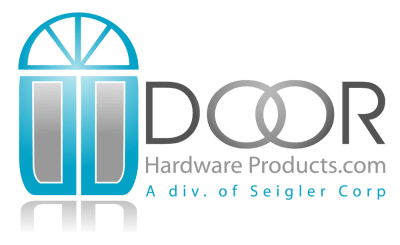 At DoorHardwareProducts.com we stand behind our products and guarantee your satisfaction with every order. All plastic bags must be sealed and all the screws must be in them. Need to setup a return? Click here to log into your account and setup your return. A 25% restocking fee will be charged on all returned merchandise, unless defective, then no refund will be given. The Customer is responsible for the return shipping on all Returns and Exchanges. Exchanges can only be made within 7 days of receiving your product(s); restocking and shipping fees will still apply. All returns must be over $20 in total value. Any return for less than this total amount may not be permitted. Merchandise must have not been damaged in freight transit. Some items DoorHardwareProducts.com sells are not available in our web catalog but can be purchased over the phone. If you purchase a special order item by contacting or calling our office it may not be returnable or may be subject to a higher restocking fee. When you call to order, you should inquire about any applicable return charges. If the item is defective or damaged, we will issue credit in full OR send you a replacement product if it’s still available for purchase. Please call our customer service number if you are uncertain about any part of this return policy or if you have unanswered questions. If you’re not completely happy with your purchase, DoorHardwareProducts.com has an easy return process. After you receive your RMA#, and you ship the products, The cost to ship the item back to us is deducted from the credit the customer receives once the item is returned in new condition. If the product is indeed in new returnable condition then the restocking fee will be significantly waived or waived completely depending on the manufacturers guidelines and all money but the shipping, if not paid by the customer prior to being shipped, will be refunded. You can also cancel items that have not been shipped yet. To cancel an order that has not yet shipped, please call our customer service department immediately. Once an item or an order has been shipped it cannot be canceled, and you will have to process a general return. Contact our returns department by telephone or email to process your return and receive an RMA (return material authorization) number. Once you have set up your return by phone you will be e-mailed an RMA number within 2 business days. Along with this return number you will receive a ship-to address where you must send your merchandise to. Be sure to include your RMA number with your merchandise. This number will be used to guarantee you receive your credit. Note: If you return a product to us without an RMA number, your return could be subject to additional restocking fees or lost. Include all original packing materials, manuals and accessories with the product to avoid any additional fees. Items received past the return period plus reasonable shipping time may not be processed. Only items purchased from DoorHardwareProducts.com are eligible for return credit. Returned items must be shipped in the original product packaging. Notification will be sent to the e-mail and/or billing address provided should your return not be accepted. Items will be resent to you upon receipt of your payment of freight charges. Items will be deemed abandoned if we are not contacted within 30 days. To begin processing a return, please call our office at 910-833-7148. NOTE: We are not responsible for any labor costs, which occur as the result of the installation of wrong or defective parts. In addition, we are not responsible for lost shipments. You must contact us to file a lost shipment freight claim with the respective shipper.